Despite the impressive decline of smoking in countries which have taken a hands-off approach to vaping, more governments continue to go down the prohibitionist route. Last week it was South Africa and China threatening to clamp down on safer products. Meanwhile US vapers potentially face higher prices on most products as new tariff barriers go up against Chinese manufacturers. Food and Drug Administration (FDA) Commissioner Scott Gottlieb has released a statement about the measures the organisation is planning on “taking to support the development of novel nicotine replacement drug therapies”. It raises questions about the FDA’s true motives, covers old ground regarding objections and creates fears of over-regulation. Many in the vaping community get frustrated by the slow progress of the cause to legalise vaping and help smokers reduce harm in Australia. Whilst there is still a way to go, we have made a significant step forward. FDA Commissioner Scott Gottlieb recently unveiled a major shift in federal tobacco policy, heralding a new approach with the potential to champion public health through innovation, harm reduction and consumer choice over a one-size fits all approach manifested in outdated regulation. Wading into the heated debate surrounding e-cigarettes, Gottlieb’s announcement on July 28 put the brakes on what would have been the de facto prohibition of e-cigarettes. E-cigarette businesses breathed a sigh of relief as Gottlieb announced a four-year extension for applications to allow their products to stay on the market. Guernsey Harbours is asking the island’s government to lift a smoking ban at the port to allow people to light up after long journeys. They say that after smokers have been on long journeys they may become anxious at the port and therefore should have a designated space where they can have a cigarette. Guernsey Harbours has said that as there is a specific place at the airport, there should be a similar place at the ferry port. Three years before his father was diagnosed with lung cancer, Clint Baxter bought him an e-cigarette. The gift was supposed to be a way for his father, a smoker for 40 years, to leave cigarettes behind. But in 2013 at Christchurch Hospital, Baxter learnt his father had barely given the device a chance. The Council for Harm Reduced Alternatives (CHRA), a national tobacco harm reduction organisation, and the Association of Vapers India (AVI), an advocacy group that represents e-cigarette users, have warned the Central and State governments about the consequences of banning e-cigarettes. They said that a ban would deprive millions of smokers of safer choices and cause damage to public health. The Beijing Tobacco Control Association has responded by stating that electronic cigarettes release harmful smoke, too, and should be prohibited in public places. It also said it plans to clearly put electronic cigarettes on the control list to prevent similar incidents from happening again. 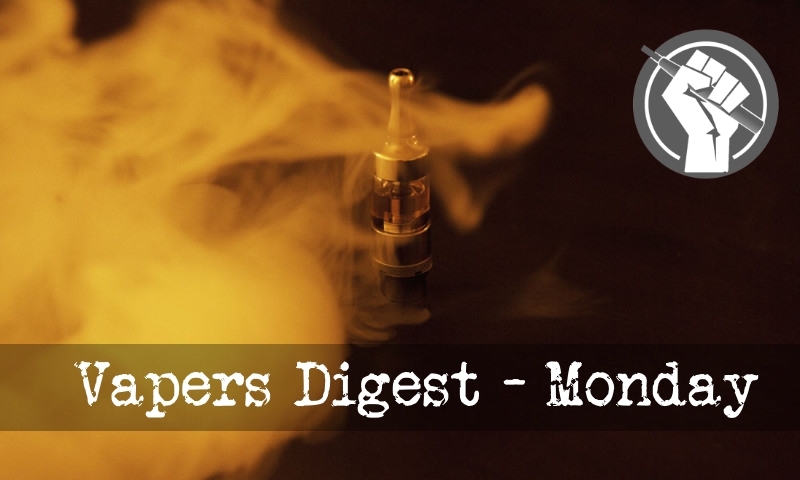 Controversies surrounding e-cigarettes have been rising. A video shared on social media quickly went viral in late July, in which a young woman smoking an e-cigarette aboard a Beijing subway train, argued with an old gentleman who was trying to persuade her to stop smoking. “You are so ignorant. I’m not smoking a cigarette!” The woman angrily rebuked the man. A security guard who supposedly maintained order onboard the subway, stood near the argument, but he failed in his attempts to persuade the woman. Two other women who were sitting beside the smoking women stood up and left the video scene, apparently annoyed by either the smoke or the argument. Well, I knew I’d be revisiting this at some point, I just didn’t expect it so very soon! Let’s pop over the Atlantic again, shall we? On July 28th, the newly-installed chief of the Federal Drug Administration (FDA), Scott Gottlieb, “announced a new comprehensive plan for tobacco and nicotine regulation that will serve as a multi-year roadmap to better protect kids and significantly reduce tobacco-related disease and death“. He mentioned freezing regulations on e-cigs and the vaping world went into meltdown. I tripped over the first two words – “Dear friends” – as I wondered whether the “chair” was actually addressing “friends” who were in any way “dear” to it. It seemed more likely that it was addressing a bunch of mafia thugs who were trying to put together a new protection racket. Or maybe extend an existing racket.